After getting my PhD in Microbiology and working for years in the biotech industry, I chucked it all to pursue my real passion: comma splices. Okay, not really, but I turned my love of technical writing into a professional career editing science manuscripts. As the Amazon self-publishing wave flooded my e-reader with smoking-hot fiction crying out for an editor, I answered the call, virtual red pen in hand. Now I spend my days battling run-on sentences, filling plot holes, and eliminating that dastardly scourge known as filter words. "What I love most about working with Elizabeth is how she genuinely cares for her clients and their continued success. She spends time refining her own craft so she can pass that knowledge onto her authors. I consider her not only my editor, but my teacher as well. After each project, I leave feeling as though she’s taught me something new I can leverage for the future. I came to Razor Sharp Editing as a debut author, knowing little about how to build a balanced and engaging novel. Elizabeth’s insight and input helped me turn a rough manuscript into a polished book I was proud to publish. Her developmental editing skills are pure gold. She’s saved my novels from many common pitfalls by suggesting improvements to characters, flow and the story’s overall structure. Add to that her attention to detail and knack for axing filter words, you can’t go wrong with her on your team." Elizabeth’s comments, though. Love them. They made what could’ve been a painful and soul-destroying process into something amusing. I giggled my way through the edits because of her insights and snark; although I did tell her not to spare the snark because I enjoy it. A better editor I simply could not ask for, since Elizabeth has my undying gratitude. Does this sound like a love letter? Yeah, it sounds like it. Can’t help it, though, because she is that awesome." "Elizabeth is beyond meticulous. Her copy editing is thorough, accurate, and extremely well-annotated. It was incredibly painless to work with her on a 160,000-word manuscript. Although not normally part of copyediting, Elizabeth pointed out rough patches in narrative and a couple of character inconsistencies that made the entire project that much better. One of the best investments in my novels I have ever made. I won’t publish another one without her help!" In defiance of the odds, Lilian is within a month of proving her bond, driving her foes to ever-increasing bounties on her life. 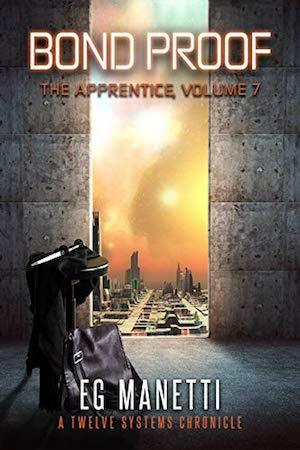 Every step beyond the security of the Serengeti cartel is perilous, but within the cartel, she must put aside her fear, giving all her attention to her duty and the decorum demanded of an apprentice. Thanks to Lilian’s help and the stunning success of the Nightingale launch, Lucius and his cartel are on the cusp of dominating Twelve Systems commerce. Yet as the Nightingale command crew gathers on Metricelli Prime to prepare for the dangerous voyage to the Thirteenth System, whispers of pirates emerge from the Eleventh and Twelfth Systems. A decade before, pirates almost toppled Serengeti, and their reemergence so close to the Nightingale launch endangers all Lucius has achieved. Worse, the arrival of a group of free-traders from those distant systems threatens to resurrect an ancient Mercio scandal that could undermine the honor of Serengeti and imperil all Lucius values. In the final days of Lilian’s apprenticeship, danger lurks in every shadow. It will require all Lucius’ power and Lilian’s courage to stay alive and achieve her bond proof. She doesn’t expect forgiveness. But she’s back in town with no other options. She just wants to be left alone to live on the fierce Wyoming land she’s missed so much during her six years in prison. Former Navy SEAL Gabriel Collingwood's call sign may have been Angel, but he'll be anything but to protect his sister. Especially from a pretty ex-con who has somehow weaseled her way into a job at his sister’s new bakery. He doesn't trust Jordan, even with her big gray eyes and quiet smile. But when someone decides its time for Jordan to leave Oak Creek—preferably in a body bag—Gabe will have to put his distrust aside. Jordan needs her own guardian angel. And he knows just where to find one. If you could save the lives of everyone you love by promising your own, would you really say no? Amaya Reynolds, a mundane human born in the supernatural town of Distant Edge, is so much more. She’s a budding opera singer. She’s the beloved of a fairy king and his four warlocks. She’s a planeswalker, the key to transporting her five men into Tara, a land of fantasy and, currently, mayhem. So when a dark witch enters the picture and tries to force her hand, Amaya has too much on the line to turn tail and run. But that dark witch sends Amaya on a dangerous quest. 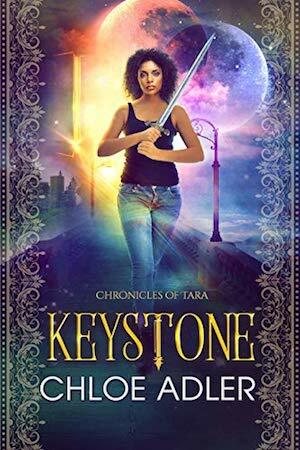 From the deeps of a monster-filled ocean to a wind-swept desert of hostile exiles, Amaya must risk all to convince not one, but two evil queens to free a monster in Tara. And if the monster doesn’t leave as promised? She must give her life in exchange. Just when Amaya has come to find her place in the world, she’s asked to give it all up to save those she loves. But she’s ready to show a world chockfull of magical beings just what a mundane human can do. Caleb is living the bachelor’s dream and staying rent-free in his best friend’s place, working as a fireman in his hometown while running his family ranch. Too bad it’s because he lost his house to a tornado and his best friend’s sister is the one that got away. Good thing she doesn’t come visit often. Except she calls in an SOS. Her cheating fiancé kicked her out and she needs a place to crash. The only spot open at her brother’s suddenly too crowded ranch house? The bedroom next door. Just in case Brigit wasn’t humiliated enough at her streak of bad decisions, she has to slink back home to nurse her wounds and find a job. There’s no way she can avoid the first love she walked away from years ago. He’s sleeping on the other side of her wall. But it’s only a matter of time before she’s gone again. There’s nothing in this town for her. Except a fireman in cowboy boots that melts her heart and makes her consider love again.